The quality at those NNL model shows is nuts. me too , this all I have , & also the 69 FSM & mopar performance RBengine & chassis manuals , A727 manuals not in picture . 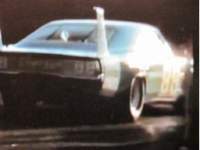 did have hemmings from the 80s & some 90s saved too, & mopar muscle, mopar action & hp mopar mages saved from when they first started, but storing that stuff was getting out of hand, so gave those away 5 or 6 years ago I think might have been longer , don't get any mopar mags now. LOL....if it wasn't for the MASSIVE moss in the foreground pretending to be ferns and brush I might have fallen for that!! Thanks for posting TanTop! Very enjoyable to watch!